Where we choose to live makes a difference in our health. Hawaii is actually the healthiest state in the union, and Mississippi ranks 50th for health status. Montana is maintaining its health ranking in the middle of the pack at 23rd of all 50 states, the same as last year. 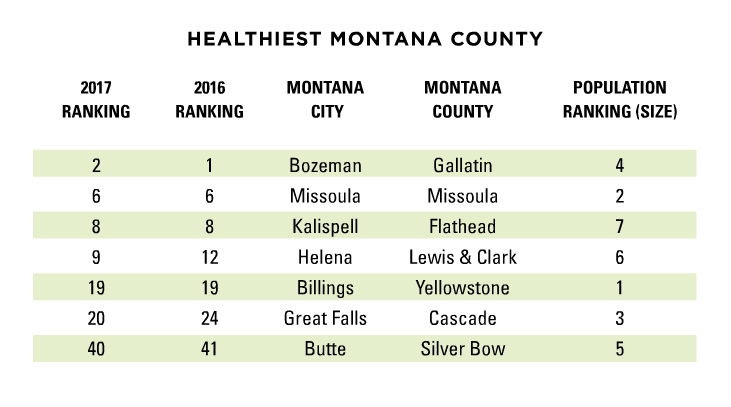 Comparing Montana rankings by county, the order of the healthiest communities has remained the same, but Bozeman slipped from number one in the state to number two, behind Madison County. The community of Ennis is a fly-fishing mecca for many, and its county has surpassed Gallatin county for the healthiest in the state. The Institute provides ideas for specific actions to improve each of these areas and offers a $25,000 prize annually to any communities who want to commit to efforts to do so (www.rwjf.org), which is a great way to help fund local health improvement efforts. The United Health Foundation uses five criteria with various subcategories to rank the health of states in America: Health Behaviors, Community and Environment, Policies, Clinical Care, and Outcomes. Health behaviors include physical inactivity, high school graduation, smoking, obesity, excessive drinking and drug deaths. Specifically, our obesity rate (defined as Body Mass Index greater than 30) ranks well at number 3 in the country, although all states are much heavier than in 1990. Obesity rates also correspond with higher health complications for all our nation’s residents. Montanans rank 12th in the country for being physically active, which makes sense for our love of the outdoors and physically active occupations. 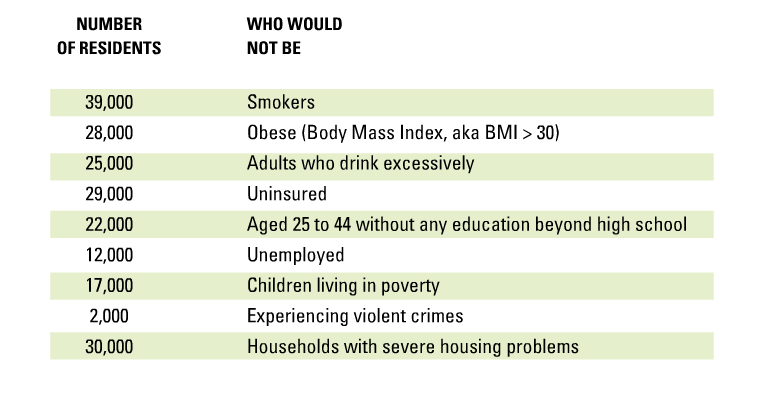 The health behaviors of excessive smoking and drinking remain challenges for Montanans, with national rankings of 32 and 47 respectively. But all together, we’re doing fairly well at 16th in the nation for practicing healthy behaviors. Community and environment rank 20th with our best area in this category being a lack of air pollution (5th of 50), although I am sure these ratings were not taken in August at the height of our most recent forest fire session when the Seeley Lake residents could not see across the street! Montana could use the most improvement in decreasing our rates of pertussis (rank 50/50), which is also known as whooping cough. Montana public health policy is our worst subcategory in this ranking at 42, which ties into our low immunization rates reflected in that whooping cough ranking above, low public health funding, and almost 13% of our population being uninsured. We do better in clinical care at 23rd of the 50 states. Improvement has occurred because of decreasing our preventable hospitalization rates (12th). We rank 44th in the number of primary care physicians available, meaning there is a shortage of available primary care providers, especially in our small outlying communities. Physicians are able to earn substantially more in areas of the country with higher population densities than Montana, but I would argue no other states have better access to wild places for hunting, fishing, and recreating! According to the Center for Health Workforce Studies at the University of Washington, in 2016, Montana had 205 physicians per 100,000 population with 72 of those physicians providing primary care. The physician mean age is 53, which predicts the shortage will get worse at these physicians retire. The Kaiser Family Foundation lists 530 nurse practitioners in Montana in 2017. Both WWAMI (Washington, Wyoming, Alaska, Montana, & Idaho), the University of Washington physician education program, and Montana State University College of Nursing with their Doctorate of Nursing Practice program are working to help alleviate this shortage of primary care providers. Of the factors determining the Montana outcome at 23rd of the 50 states, we rank highly for the relatively lower number of diabetics in Montana (5), and rank 13 for cancer deaths. We are right in the middle of the pack for disparities in health status at 25 and worst in frequent physical distress (32) and premature death (29). America’s Health Rankings summary is similar, listing Montana’s top three strengths as the relatively low prevalence of obesity and diabetes and low levels of air pollution. Our biggest challenges are the high rates of excessive drinking, high percentage of population without health insurance, and the low number of primary care physicians. An advantage of our low population density is a saying about Montana: “It’s like a small town with a long Main Street.” Translated, that means all the people working to improve public health can actually all fit in the same meeting room and often get to know one another well. This bodes positively for working together to solve common health challenges, although the current decrease in tax revenue is putting a strain on public health funding. While we all want to enjoy good health, many factors determine our ability to lead healthy lives. We like to take pride in our choices and home communities, yet those determinants of good health are often beyond our individual control. Neither the United States (37th) nor Canada (30th) rank in the top 25 of best health care systems in the world. Let’s encourage everyone we know to work together to address the health care needs of Montanans and all Americans as we face the changes that come with age. Perhaps we have some advantage because Montana is a rarity in that our constitution (Article II, Section 3) states: “All persons are born free and have certain inalienable rights. 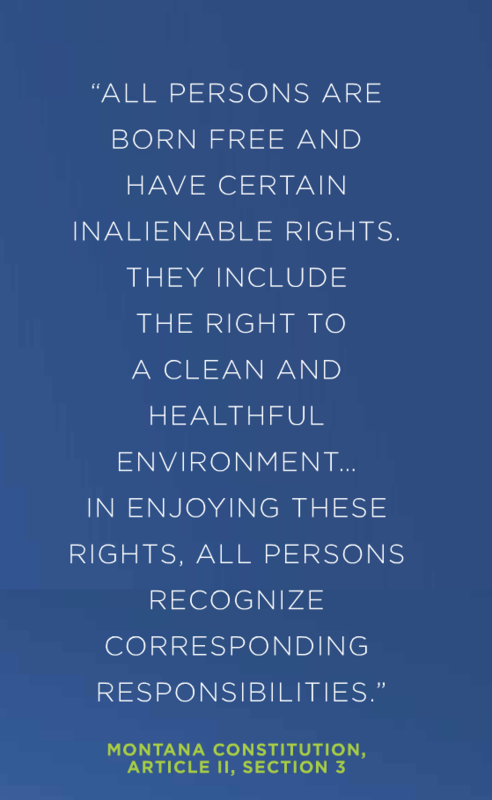 They include the right to a clean and healthful environment … In enjoying these rights, all persons recognize corresponding responsibilities.” We are one of the few states with such a proclamation, and it has been used in efforts to protect public health. The natural amenities of outdoor activities in Montana are endless, and a large part of why many of us love to call Montana home. 1. Physical exercise to keep the heart and body strong and maintain flexibility. 2. Mental stimulation to keep the brain active and functioning well. 3. Social interaction to keep life fun. 4. Maintain a healthy diet and healthy weight (a real challenge in our society). 5. Stay well rested by getting adequate sleep (which is when the body repairs itself before bigger problems begin). By doing these things, you’ll be in the best position to meet any health challenges that may arise. Be well! Montana has not escaped the opioid addiction crisis facing our nation. Opioids are medications that bind to the parts of the brain that control pain and emotions. They increase the feel-good hormone: dopamine. By stimulating the reward system of the brain and creating an intense feeling of euphoria, they are quite addictive. U.S. pharmaceutical companies marketed the drugs heavily through our medical system, and many people first become addicted through prescription drug use. These medications are more commonly known as Vicodin (hydrocodone), Percocet (oxycodone), morphine, and fentanyl. When these prescription medications are not available, people may transition to heroin. There’s been a 475% increase in the use of heroin in Montana since 2013! Between 2000-2015, 693 deaths in Montana are attributed to prescription opioid poisoning. Of those, 181 were between 2012 and 2015. Drug poisoning is now the third-leading cause of death in Montana, and in the U.S., there are more people dying from prescription opioids than automobile crashes. For every 100 Montanans, there are 83 painkiller prescriptions written each year. In addition, methanphetamines (meth) usage dipped in the mid 2000s, but is back on the rise. Montana law enforcement recovered more meth in the first six months of 2016 than all of 2015. The Montana Injury Prevention Program (MIPP) convened a Montana Opioid Strategic Planning Task Force in November 2016 with over 90 stakeholders and 50 different agencies including law enforcement, public health professionals, medical personnel, and nonprofit workers. Together they are working towards implementing solutions to this very serious health problem by addressing six key areas: Partnerships, Prevention and Education, Treatment, Monitoring, Community Resources, and Law Enforcement. Let’s all hope their efforts are effective.